If you have heard Cing Jing before. Yep yep! 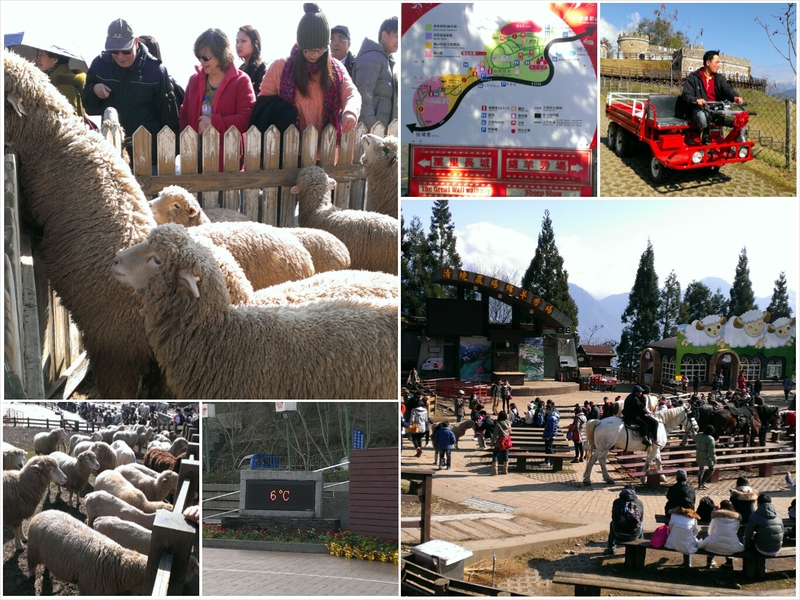 We went to Cing Jing for a day trip! No regrets! But how do we get there? We joined a day tour to Cing Jing. Hassle free trip. Well, I did spend some time doing research on how to get there independently from Taichung city to Cing Jing (vice-versa). However, many forums and sites we were unsure if its reliable. Different people says different thing. There wasn’t any firm answer. Besides, there wasn’t any transport back to Taichung in evening. There was an indicative of the last bus back to Taichung from Cing Jing, but we afraid we will miss the bus or the bus may be full? As we only want to spend a day trip there, leave in morning and back in the evening. Taking public transport to Cing Jing was not easy as there is a bus transfer in Puli even when return back to Taichung. If we miss the bus in Puli to Cing Jing or the bus did not arrive punctually, we definitely waste our time. We also found that Cing Jing is a kind of like a Resort place. Most tourists overnight in Cing Jing. Very rare tourists like us would only spend a day trip there. The reason we do not overnight is because, there isn’t anything to do at night in Cing Jing. 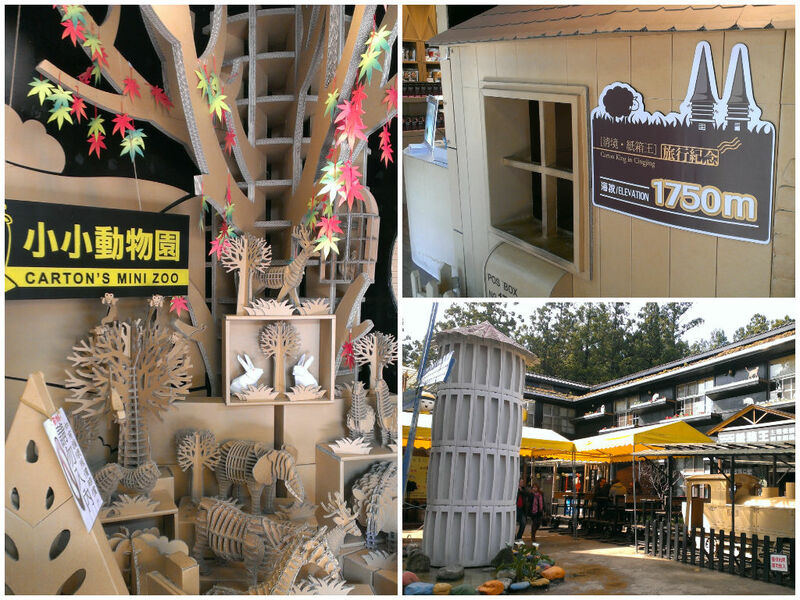 We would rather stay in Taichung city to continue with our good exploration in the night market or at the city streets. Cing Jing located in the highlands. 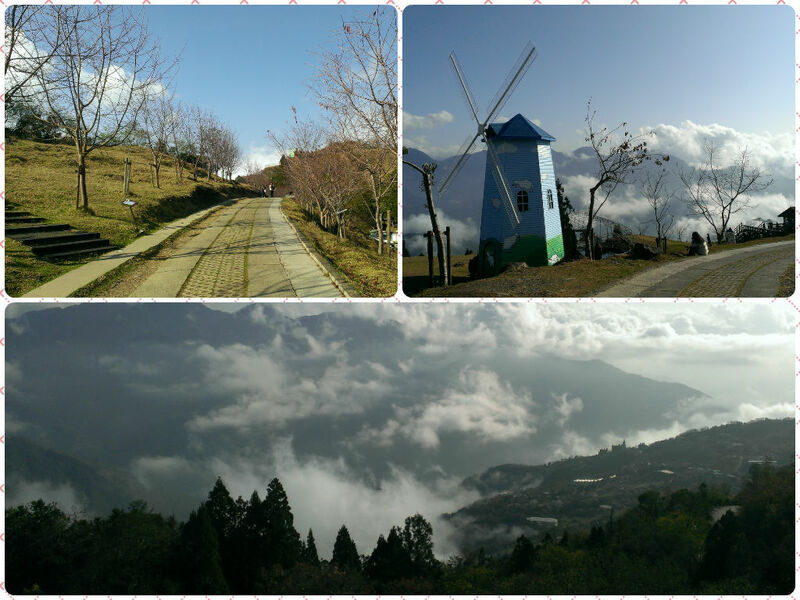 Clouds, many hills, scenic and land filled with sheeps are the words to describe the place. The trip was marvelous. The van came to fetch us from our hotel at 9am. Beside us joined, a group of family members from Hong Kong joined too. It was about 8 tour members in the coach. We had a quick breakfast in the hotel. The interior design of the dining area was pretty modern and interesting.. 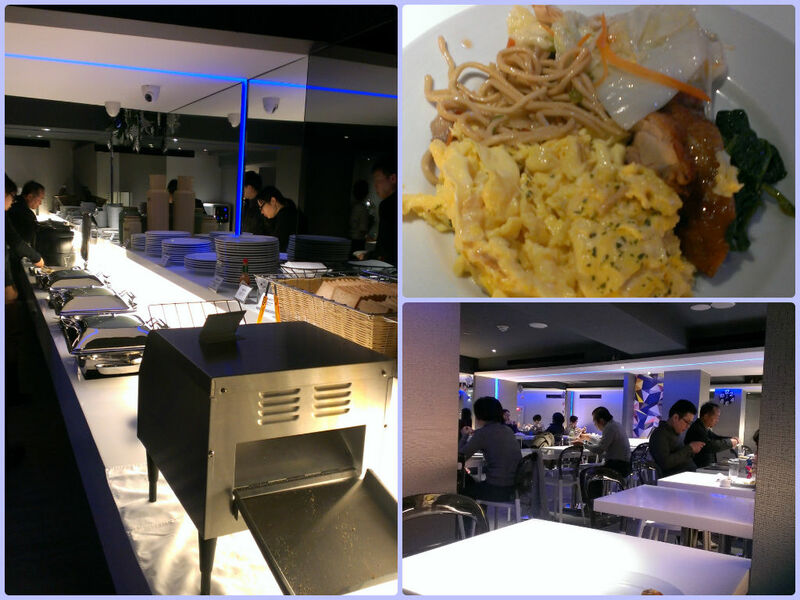 I enjoyed the cosy of the dining area and the variant of the food…. loved it. The tour did not bring us direct to Cing Jing. 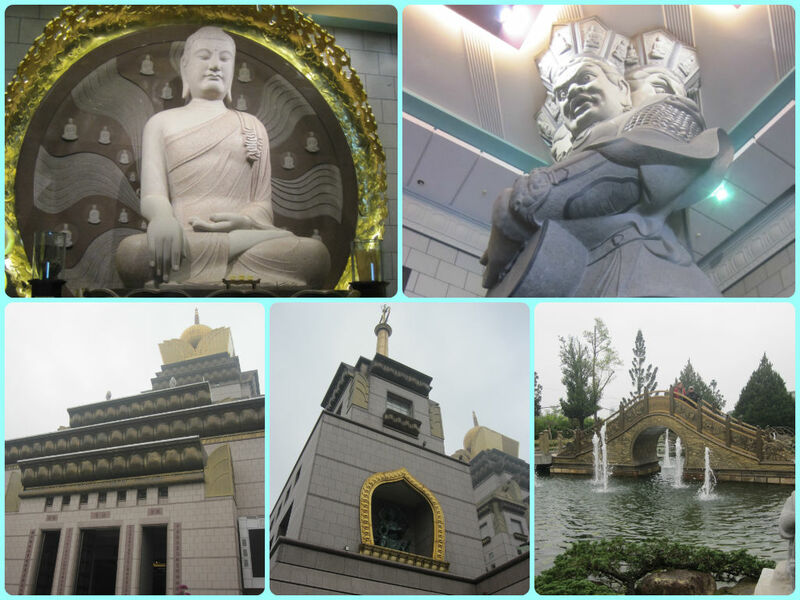 The tour also brought us to a monastery called Chung Tai Chan Monastery. The monastery is located in Puli town between Taichung City and Cing Jing. It has got a very large building that looks abit like a castle to me with many large sculptures in the building. After the visit we proceeded to Cing Jing. The road is uphill and winding. Along the hill the scenery was so beautiful as if we were in a European country. The van alighted us at a resort where we had our lunch there which was included in the tour package. The guide asked us what we would like to have, fish, beef, seafood or chicken. Well we chose beef and seafood. 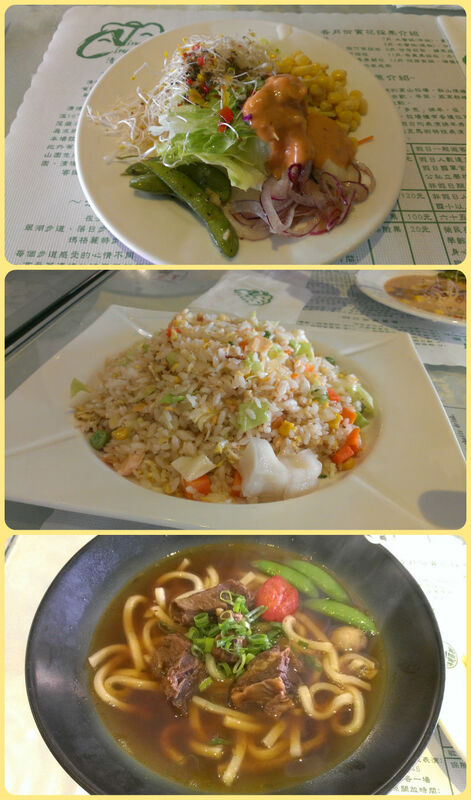 Beef in noodle, and seafood in fried rice. Salad was a side dish that we can eat all we want. Our tour guide brought us to visit the art boxes decor…. Ok. Pretty interesting. I find that Taiwanese have the talents in art though. Don’t you think? After the shops visit and art boxes, we then proceeded with our visit in Cing Jing. We were stunned of the beauty scenes in Cing Jing. There were lots of sheeps and we were above the clouds. 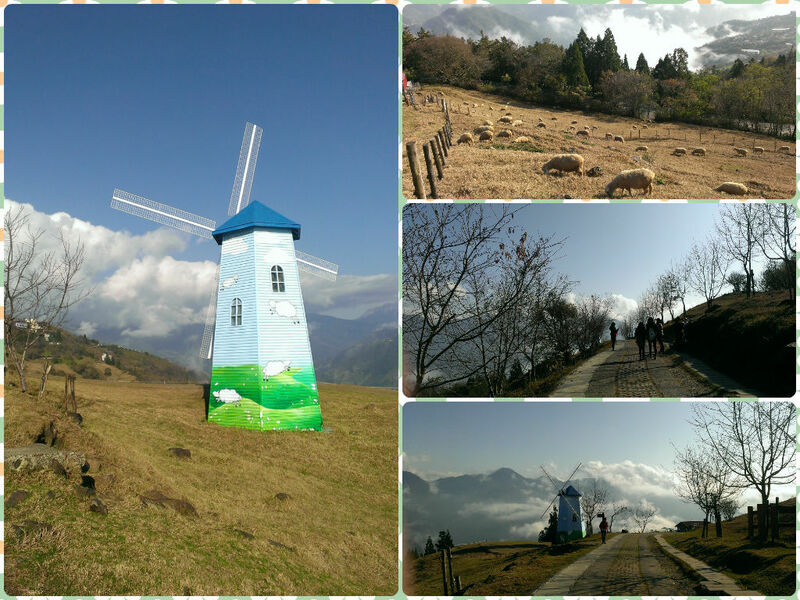 The journey from Taichung to Cing Jing although it was pretty far, around 2-3 hours drive – the visit really worth for the long journey. There were shows too.. horse performance. But we did not watch the performance as we were too busy exploring the scenic view and snapping of photos. We skipped the performance. The sheeps do not afraid of humans. They van be daring when comes for food. Another pic shows the horse performance stage. We skipped the performance. Along the pathway, we arrived to the stalls where we supposed to meet our tour guide there. There were stalls selling fruits and snacks… Once all members arrived, we back to our van and headed back to the Taichung City. 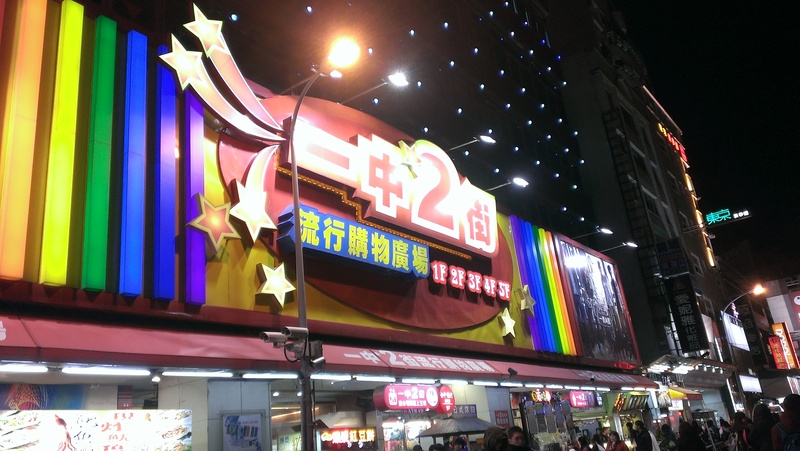 We requested to drop us at Zhonghua Night Market as we heard that it was another night market that recommended to go. Zhonghua Night Market is a market for youngsters.. somewhat like Ximenting though. Guess what? We enjoyed walking at Zhonghua Night Market than Fengjia Night Market. Why? Because it is a youngster night market where we find different than the usual night markets and what we really like most was it is a combination of shopping centres and food stalls. It is something like Ximenting but there were more stalls than Ximenting though. The weather was cool. We went into the shopping centres for shoppings and also had a cup of coffee when we felt the cold weather was unbearable and out when we looked for food. Zhonghua Night Market was actually recommended by a lady where we were seated in the same cable car to Maokong Gondola. We had a chat and she was from Taichung. She was the one recommended us to visit Zhonghua Night Market that she said it’s a must visit night market in Taichung. and Yes! we glad we met her and glad we did! 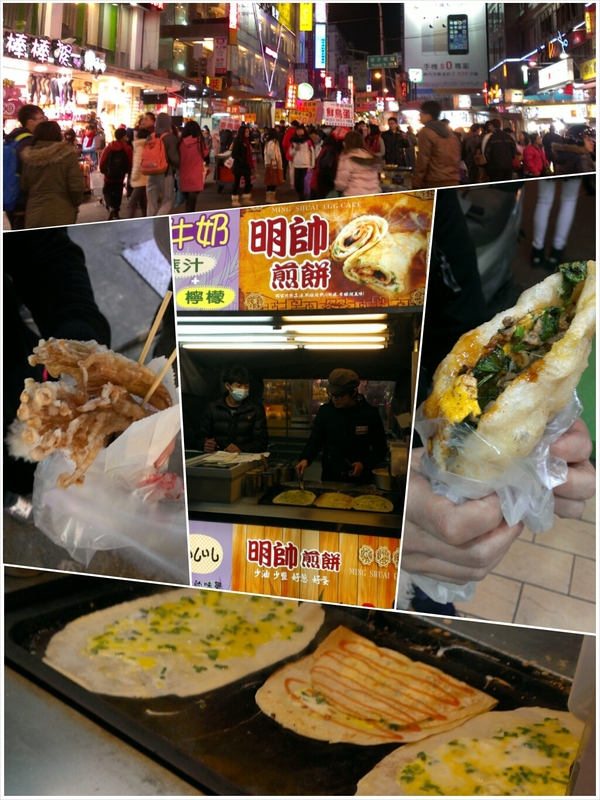 If you are traveling to Taichung, you can miss Fengjia Night Market but definitely not Zhonghua Night Market. 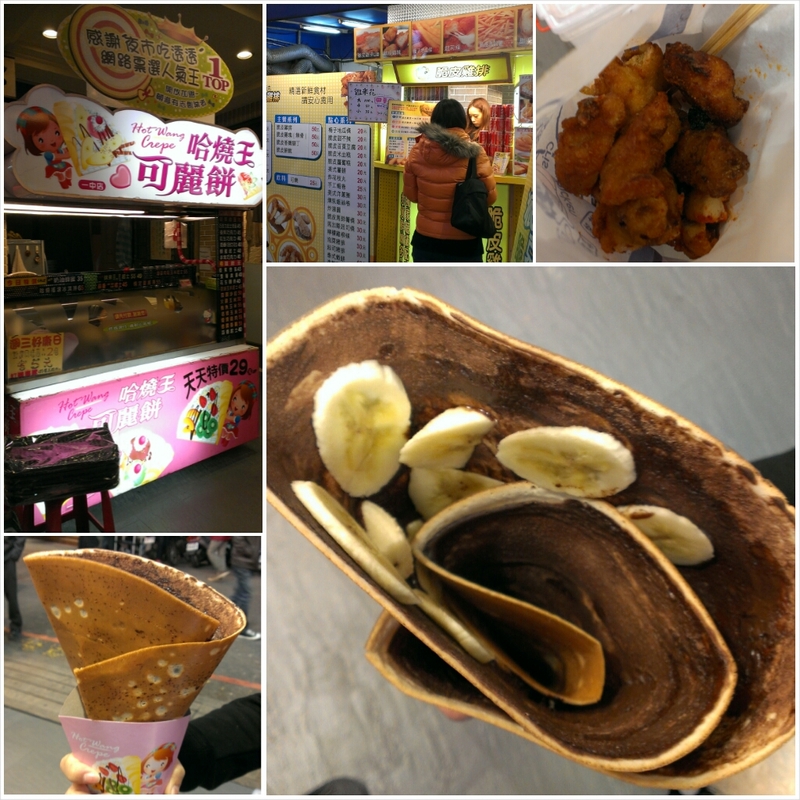 The good news is the night market is not far from Taichung Train Station. Walking distance about 10 minutes walk. It was a tiresome and fulfilled day. So.. what’s our next day schedule? Stay tuned….